A coalition of youth groups in Northern Nigeria has called on President Muhammadu Buhari not to seek re-election. 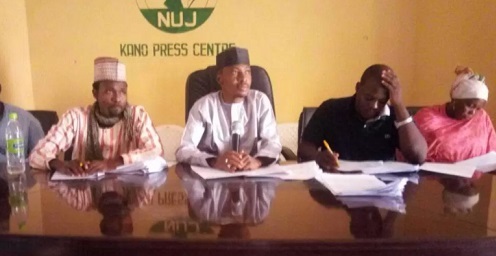 The leaders of the coalition, called Northern Youth Coalition, stated this when they addressed journalists at the Press Centre in Kano on Sunday. The leader of the coalition, Abdulmajid Saad and his secretary, Salisu Indabawa, spoke on behalf the coalition that they said comprised 36 youth groups. “We observed with utmost dismay that three years after the current leadership came into power, Nigerians are already disappointed with the way things are going. “This was characterised by the president’s deafening ears to the yearnings of the citizenry as witnessed in the falling standard of attainment of basic of life needed by ordinary Nigerians,” Mr. Saad said. The officials said the victory recorded in the fight against Boko Haram was insufficient to campaign with as insecurity had worsened in other areas with kidnapping and ethnic violence on the rise. Mr. Saad, while answering questions from journalists, said his group is not being sponsored by any politician. He also said not all the groups that are part of the coalition are registered. The group’s choice of Kano for its press conference may be significant as the state is the main political base of Mr. Buhari. It is also the state from which the president received his largest votes in 2015.